To determine which level and duration, this information will be given after the audition. The audition fees are $100 which will be a 30-45minute session with Vivienne. In this session you would expect to learn an introduction to her method. A learning programme will be uniquely tailored to your level of playing to ensure best efficiency in your learning experience. Subsequent lessons will follow this structure. Do note that Vivienne does not charge based on any examination syllabus but on the level category listed above and her determination of your skill and level are based on your experience, achievements and technical ability. 3. Some background of your learning and achievements to date and a sentence on what you hope to get out of the classes. **Beginner students need not audition but will be recommended for a trial class before committing to a whole month of lessons instead at the fee of $100 for 30minutes. Online lessons are available one on one. There is no need for an audition for online lessons. However, these lessons are booked per lesson hence there may be no weekly fixed timings as it will be subject to Vivienne’s regular schedule. Charges are per 15 min blocks at SGD$60 for the first 15 minutes and SGD$50 for subsequent blocks of 15mins. Payment will be prepaid before the lesson. These classes are extremely helpful in quickly arresting problem areas in pieces and helping to troubleshoot if you are stuck with practice of a particular piece or section. And the best part is that you will be able to do this in the comfort of your home without having to travel down for the lesson. These Masterclassses are not typical as they have no audience, these are for students (who may be having their regular lessons from other teachers/places) who are intending to deepen their understanding and improve on specific/certain repertoire. Class fees vary at $120-$170 for a half hourly sessions, $180-$250 for 45minute sessions and $200-300 for hourly sessions. Payable before commencement of every lesson booked. Please prebook these classes at belcantoviolins@outlook.com OR contact +65 86942694 to check Vivienne’s availability and exact quote on your fees. **for schools in Singapore engaging Vivienne for contract work, she is an AMIS registered MOE educator. In these classes you will expect the students to achieve better overall tone and intonation through improvements on bowings, fingerings and better understanding of phrase structures. Technique practise will definitely be taught in these classes where students can achieve an overall better performance of the pieces assigned. This would benefit when facing future repertoire as they are then armed with better technical ability. Per hour charges are $250, Min engagement at 2 hours per session. 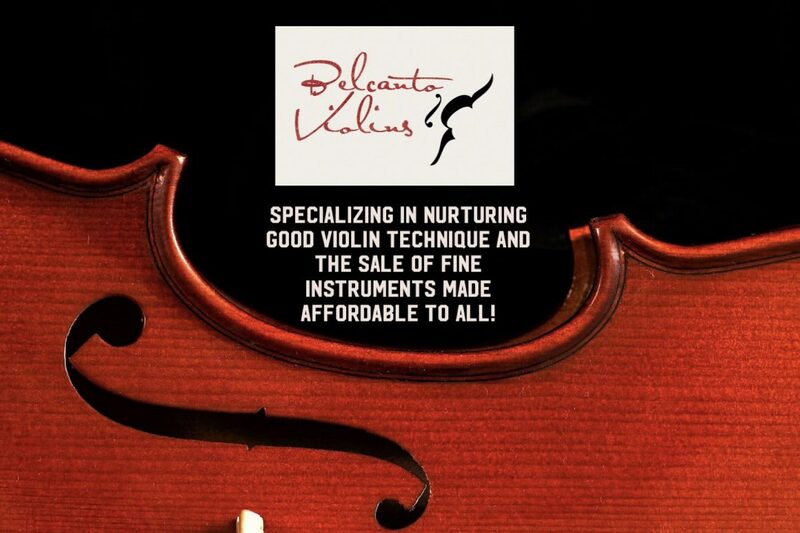 Please prebook these classes at belcantoviolins@outlook.com OR contact +65 86942694 to check Vivienne’s availability. Lessons types 1-3 are strictly conducted at her music studio gallery at Orange Grove Road. Payment will be by cash or cheque. Fees are collected monthly on the first week of the month. Late payment of fees (for more than 3 successive lessons) will incur a 25% extra charge for the next month. Strictly no refund of fees. No termination of lessons in the month of November, last lesson of that period will have to be end December. There will be a ONE month notice to terminate classes in formal writing (Only email or letter, no text messages or WhatsApp etc). Sudden termination of classes without ONE month notice will lead to an extra one month of payment of fees. The 5th week lesson of the month shall be a rest week where there will be no lessons. However, should the student desire to have 5 weeks of lesson in the month, the fees for that month for all 5 lessons shall be made payable at the beginning of the month. For unforeseen medical reasons, last minute cancellations will render a make up class. In such cases, a Medical Certificate must be produced. All Make up Classes should ideally be completed during the same month or month after of which the cancellation of class was made. For trial classes, they should be booked in advance, there will be no cancellations after booking and payment is made. Strictly no refunds will be given.